Holiday season: If you order with free standard shipping before 12/13, we can guarantee delivery before 12/25 in the Continental U.S. After this date we cannot guarantee on-time delivery with free standard shipping. Please consult the map below (and add 1-2 days) to get an estimate. If you need Lioness in a jiffy, you can upgrade to Domestic Expedited 2-day (2 business days) shipping for $25 in the United States. Contact us if you are looking to upgrade shipping for a Canada destination and we'll give you an estimate. Lioness will ship out the same day if ordered before 12pm PST. 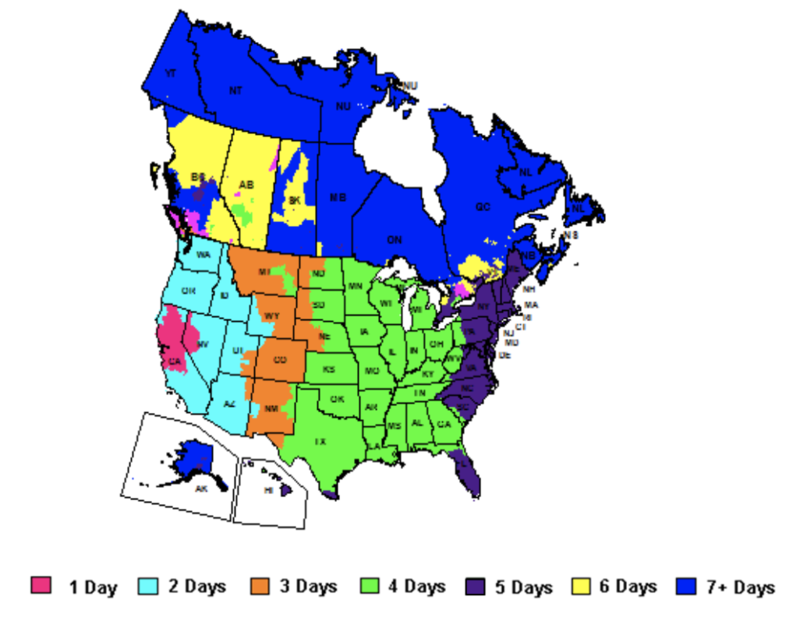 See the map below (as of Sept 2018) to get a better idea of shipping times to your address. Please note that shipping may take longer during holiday periods or due to unforeseen weather conditions.